In commemoration of Rancho Los Cerritos’ 175th Anniversary year of when the adobe was built in 1844, the blog will feature a series of stories as submitted by our followers and fans – “Back in the day,” historic, nostalgic, and other tales – throughout 2019. These accounts will highlight fun facts, personal perspectives, and other viewpoints from staff, volunteers, and visitors alike. Enjoy! Francis Pliny Fisk (AKA, “FPF”) Temple. Earlier this year, RLC received a drop-in visit from Thomas Edward Temple. Thomas’ Great-Great-Great Uncle just happens to be the late Jonathan (John) Temple (b. 1796) – constructor of the original Monterey-style adobe home here on site – and his Great-Great Grandfather was Francis Pliny Fisk (AKA “FPF”) Temple (b. 1822). Thomas recently sat down with RLC staff in a follow-up visit to reminisce on highlights of his family’s history as it relates to RLC historically and in the modern day. 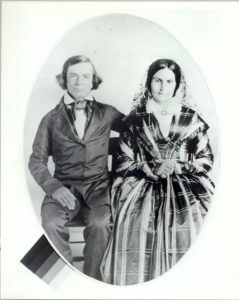 FPF with his wife Antonia Margarita Workman de Temple. 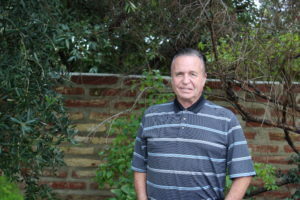 A 7th generation Californian with a local legacy dating back to the 1780s – including the fact that his own grandfather helped to incorporate the City of Los Angeles and that one of his grandmothers was a Dominguez – Thomas recalls from family stories that it was John who was responsible for urging FPF to make the move to California while John had already been settled here. FPF was just 18 or 19 years old when he made the six-month voyage around the Cape (South America) to California. 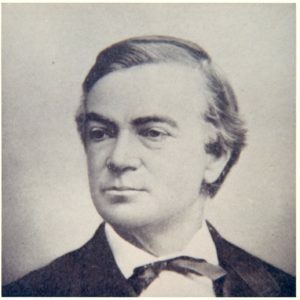 While FPF was only supposed to stay for a year or so, upon his arrival he met William Workman, who provided him steady employment in his store in Los Angeles. 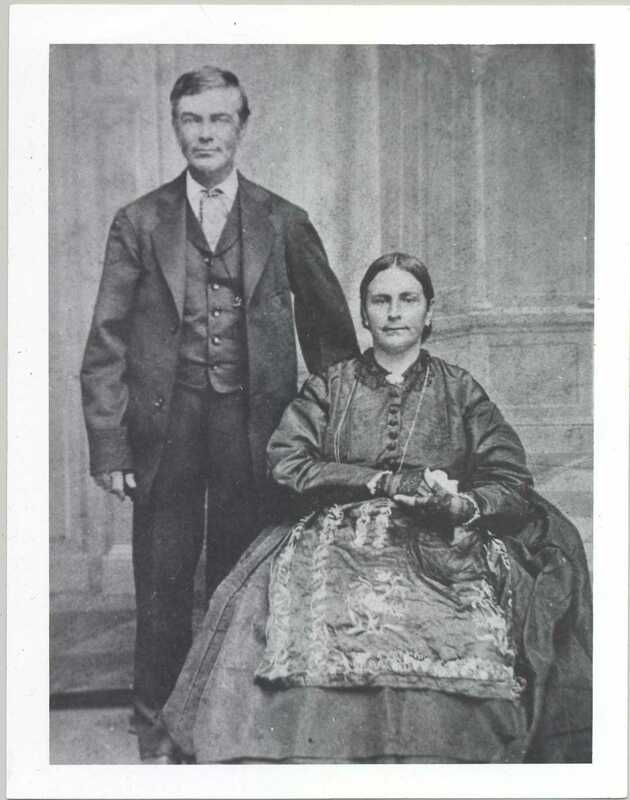 It was through this connection that he met Workman’s granddaughter, Antonia Margarita Workman, whom he later married. The rest, as they say, is (RLC) history. When asked for his own favorite RLC memories to share, Thomas excitedly recounted that he always visited here as a young boy during the 1950s. Though the Rancho was already a designated historic site, he attested to the fact that there have been many nice improvements in the 60-70 or so years since he’s been visiting the site. Though the house itself is about the same now as it was then, Thomas said that the forecourt parking lot up top was the only parking there used to be for the site, and the gate now used to enter the house and garden property today off the forecourt was the actual “front door” back in the 1950s. Thomas was born in nearby Lynwood and grew up in Norwalk. He currently lives in San Clemente and works in Long Beach in the oil industry, where he’s made a career for himself since 1973. Thomas continues to attend Workman Temple family reunions at the nearby Workman Temple Homestead Museum, with the most recent event held about 1-2 years ago. Thomas’ own son Jason has mapped their genealogy back to the 1700s to Clifton, England, where the Workman England home (no longer in family holdings) is still standing and remains the largest house in the area.